Search engine optimization proves to a viable channel for getting traffic (visits) to your website targeting people who are either looking for products or services (commercial or ready-to-purchase keywords) or information related to your industry (informational keywords). Getting visible in search engines isn’t easy as before. In 2010, all you need to do is to create a website, optimize your pages for search crawlers and build thousands of links in less than a day. Then, RESULTS! It takes a strategy to compete with other businesses for your target keywords. You need to improve your website’s content and user experience to better engage your visitors. You need to optimize your pages so search engines can crawl and index them (check this resource if you’re not familiar with them). Lastly, you need to build relevant and high-quality links to your website. Link building requires investments. 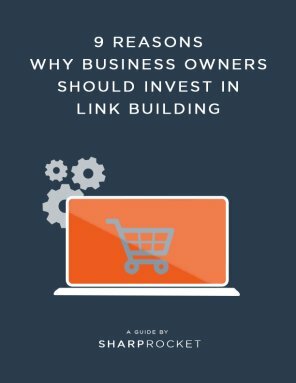 But before you say “I don’t want to invest in that”, let me give you 9 reasons why you need to invest in link building.